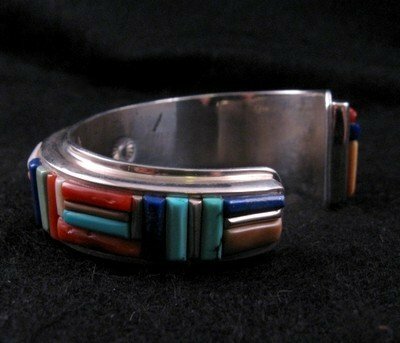 This beautiful, museum quality, sterling silver and multi-stone inlay bracelet was made by the world famous Native American artist David Tune (Navajo/Creek). 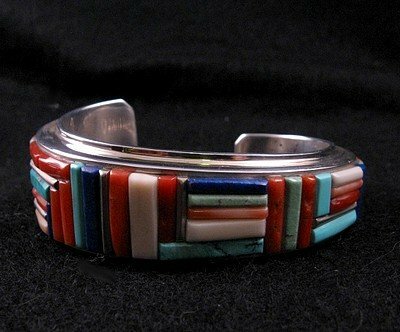 The bracelet features a raised cobblestone cornrow inlay of a variety of stones, including turquoise, coral, spiny oyster, green gaspeite, lapis lazuli, ivory, and more. There are also sterling silver bar accents throughout. 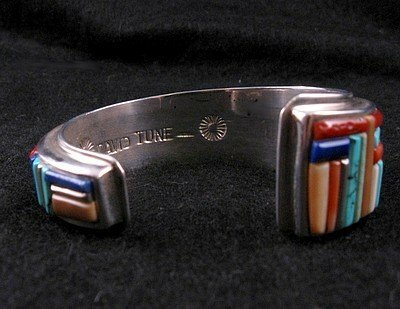 The inlay is raised above a 1/4 raised sterling silver channel. 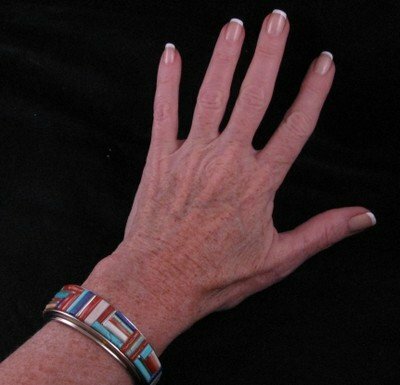 The bracelet is intentionally wider at one terminal than then other. It measures 1 wide at the widest end and narrows down to about 1/2 on the other end. Weight: 75 grams. Inside end-to-end measurement of 5 plus a non-adjustable opening gap of 7/8. Hallmarked with David Tune's hallmark and also stamped Sterling. Brand new and in perfect condition. Gift box and Certificate of Authenticity included with your purchase. Don't miss out on this unique piece of beautiful Indian jewelry. 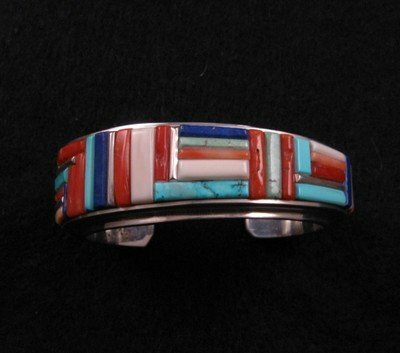 About David Tune: David Tune is a member of the Creek and Navajo tribes. 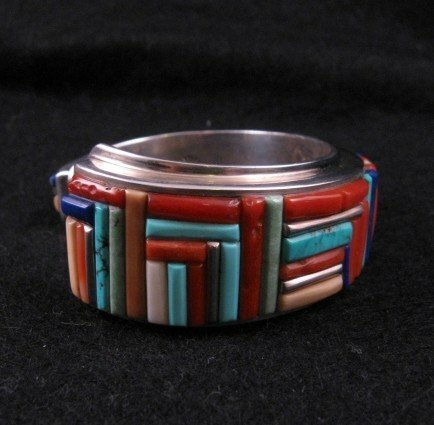 He has been making jewelry since 1976 and he has created some of the finest masterpieces of authentic Native American Indian jewelry with a contemporary flair. His work is very distinctive and easily recognizable. His works are heavily influenced by his love of hot-air ballooning and skydiving. 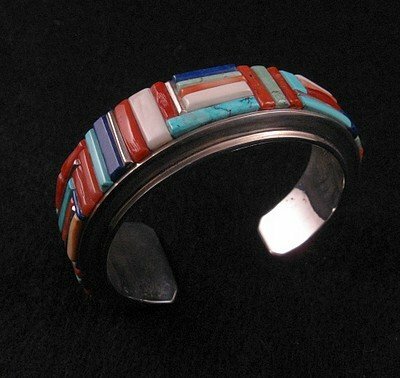 The aerial views of the earth he sees from these vantage points inspire the colorful and innovative inlays in his jewelry.